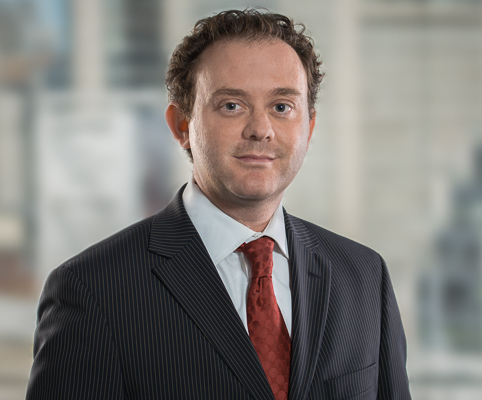 David joined Koskie Minsky LLP in 2012 after practicing at a leading civil litigation boutique for several years. David is a Partner in the Litigation and Employment Group. He has experience in a broad range of commercial and insurance litigation matters, with a focus on defending professional negligence claims. David also handles a wide variety of civil litigation matters involving shareholder and partnership disputes, civil fraud, tort claims, conspiracy, real property and leasing disputes, franchise disputes, debt and mortgage enforcement for entrepreneurs, medium sized businesses, and large financial institutions. David regularly represents employers and employees in employment matters involving wrongful and constructive dismissals, executive employment, disability and coverage claims, and restrictive covenants. David has significant experience and success in various levels of court in Ontario including the Ontario Superior Court of Justice, the Commercial List, and the Ontario Court of Appeal. David prides himself on providing pragmatic advice to clients and aggressively defending and prosecuting litigation to advance the client’s interests and rights. “Amendments to the Summary Judgment Rule 20-Post Dawson and Aguonie Era", March 2011 LSUC Publication, Practice Gems: The Essentials of Creditors' Remedies.